MarCO, short for Mars Cube One, was the first interplanetary mission to use a class of mini-spacecraft called CubeSats. The MarCOs—nicknamed EVE and WALL-E, after characters from a Pixar film—served as communications relays during InSight's landing, beaming back data at each stage of its descent to the Martian surface in near-real time, along with InSight's first image. WALL-E sent back stunning images of Mars as well, while EVE performed some simple radio science. "There's big potential in these small packages," said John Baker, the MarCO program manager at JPL. 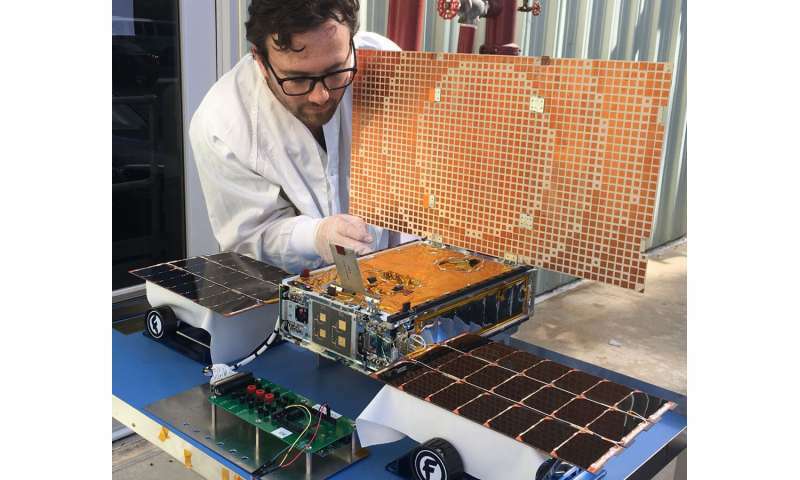 "CubeSats—part of a larger group of spacecraft called SmallSats—are a new platform for space exploration that is affordable to more than just government agencies."